Mercedes 560 SEC. This is a superb example of one of the greatest cars ever built in the history of not only Mercedes Benz but of all automobiles ever created. If you do not know much about these incredible cars, please do yourself a favor and look up information on them online. You will discover that they are applauded as one of the greatest cars of all time. Observe that the condition of this SEC is unsurpassed and honestly almost unbelievable. 1 of less than 2200 produced for the US !!! *** $78940 New + tax and delivery ! This car is beautiful inside and out. It is accident free and has a clean Car fax. 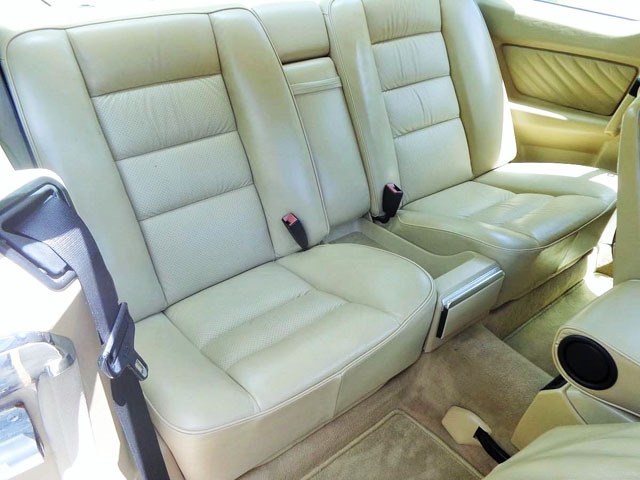 It comes in one of its most elegant, sought after color combinations "Smoke Silver and tan leather interior. It is truly a beautiful and super elegant car! 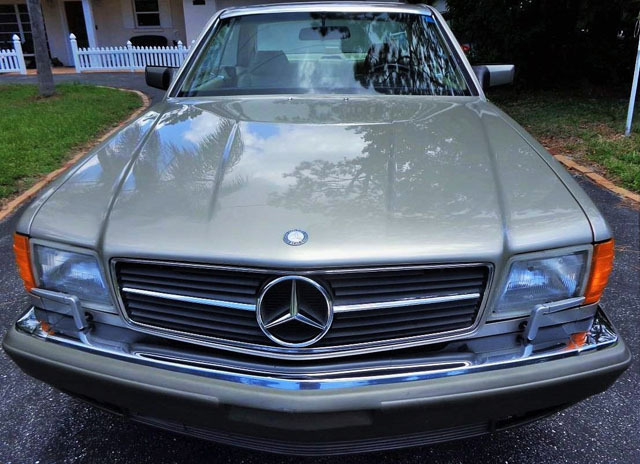 The car is very straight with no scratches, dings, dents or damage.This is a 560 SEC ( Mercedes Flagship car) to look at if you are considering one of these timeless classics. Its ready to be driven anywhere. Its comes with: 2 original keys. Owners manual & all booklets. All records and receipts. NEW Heavy Duty OEM Battery 2/18 ! Alarm System. Tinted Windows. Original First Aid Kit. SPECTACULAR!! Own A Piece of HAND BUILT German Engineering at its Finest!!!! Very carefully elderly adult owned and garaged all its original life. It even smells new!! Runs and drives 100%. Everything works as it should. Absolutely Beautiful inside & out !!! Very Rare --in this low mile condition. It has a 238 hp gasoline engine that has lots of power - when you need it. !!! This MB engine is just broken in and will run another 300,000 + miles ! This car is SMOKE FREE & has been expertly maintained by MB mechanics - all its life. New tires. Hand Built --- in Stuttgart,Germany. How many are in America?? How many in this LOW MILE pristine condition?? **** That translates in a significant upward spiral of their valuation/pricing over the upcoming years. Beautiful automatic transmission, 5.6 liter gasoline engine, leather interior, 4 wheel fully IND suspension, Ltd slip rear differential, two temp heated seats, power windows, power locks, power steering, cruise control, anti-theft system, driver airbag, passenger airbag, factory first aid kit- loaded with every imaginable option. 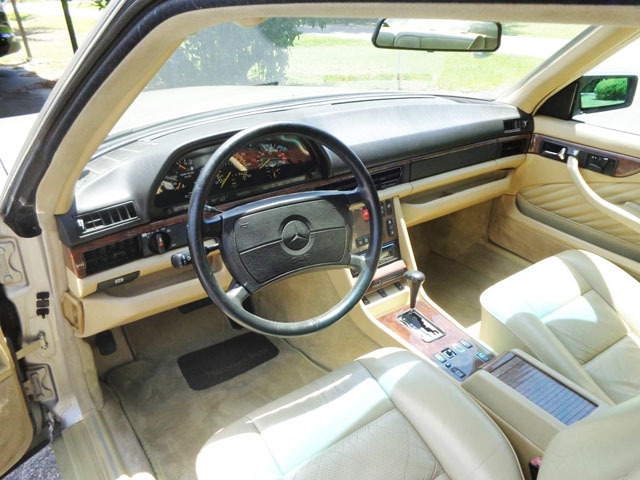 BEAUTIFUL & VERY WELL MAINTAINED --EXTRA RARE -- Classic --- 1989 MERCEDES BENZ-- 560 SEC with Very Low ---71341 pampered miles !! Garage Kept in temperature controlled space its whole life. The ride is unbelievable - very quiet & smooth. Here is your opportunity to own one of the worlds finest.